AC motors are generally reliable and last a long time before needing to be replaced. The only user-serviceable parts on an AC motor are the brushes and the bearings; if the internal windings burn out, your AC motor needs to be checked out professionally. Troubleshooting problems on your AC motor is relatively straightforward, and providing you have reasonable do-it-yourself abilities, repairing it is not too difficult. If your AC motor doesn't work correctly, it's probably your brushes or your bearings. Turn on your AC motor, if it operates. If it doesn't it's either the brushes or the windings that are causing the problem. You can replace the brushes, but if it's the windings, it's not a DIY task. However, new brushes are inexpensive and it's worth checking them out, so follow the steps in Section 3. Listen to the sound your AC motor makes, if it operates. 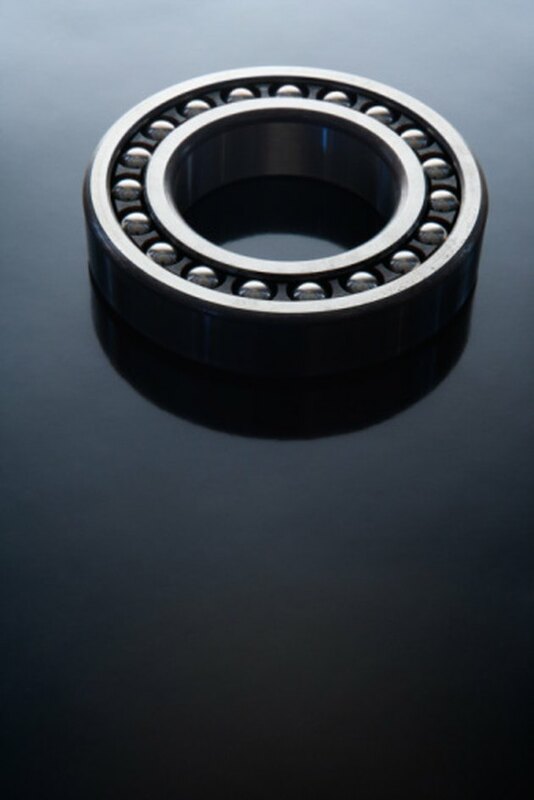 Worn bearings make a loud metallic grating and rattling sound. Follow the steps in Section 2 to replace the bearings and repair your AC motor. Turn off your AC motor. Disconnect the motor from the electricity supply before proceeding to repair it. Use a wrench and remove the four or six bolts that connect the two halves of the AC motor. Hold the top half of the AC motor using your hands and lift it off the bottom half then rotate it 180 degrees so it is sitting next to the bottom half and you are looking at the internal parts of the motor. Lift off the armature from the bottom half of the motor and carefully place it to one side. You can now access the bearings that are located where the armature rests at the front and back of the AC motor. You also can see the bearings located in the same position on the top half. Pry out the bearings on the top and bottom half of the AC motor -- one set at the front and back of each half. Slide a flathead screwdriver between the bearing and the outer casing and you will find you can lift them off easily. Wipe the place where the bearings were situated using a clean cloth. Smear a little lubricant on your cloth and wipe the area where the bearings were. Put your new bearings into the same place. Slide each bearing in using your fingers to position them correctly. Replace the armature onto the bottom bearings. Put the top half of the AC motor casing back on the bottom half. Put the bolts back into the holes on the casing. Tighten the bolts using a wrench. Rotate the armature several times backward and forward to bed in the bearings using your hands. Locate the wires that connect the brushes and the AC motor connecting terminals. There is one on each side of the motor either at the front or the back. Remove the screws holding the wires from the brushes onto the motor terminals using a screwdriver then remove the wires from the terminals so the wires are loose. Insert a pair of long-nosed pliers into the brush holders so you can remove the clips holding the brushes in place. Pull out the clips carefully as there are springs under the clips that can spring out and easily get lost. Remove the springs from the brush holders using the pliers, then use your fingers to pull on the wires attached to the brushes inside the brush holder so you can remove the brushes. Slide new brushes into the brush holders making sure the wires attached to them remain outside the brush holder. Insert the springs into the brush holders then push them farther in and hold them in place using your fingers or a small screwdriver. Keep holding the springs in place and insert the clip into the brush holder using the pliers so the brushes and springs are held securely. Place the ends of the wires on the opposite side from the brushes onto the AC motor terminals. Replace the screws into the screw holes and then tighten them using a screwdriver.